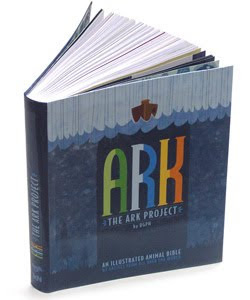 Just like Noah saved the animal species in his ark, this project will try to rescue the ones surrounding us today inside this book, thanks to the work of some of the most important and talented visual artists, illustrators and contemporary designers. The idea was to create an animal bible showing the different species around the globe through the eyes of artists from each corner of the planet. 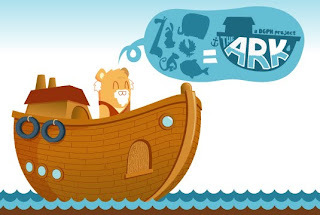 Each of them selected a creature -an animal or species- to represent their birth place, which will be added to the Ark. We made a thorough research in order to find and see the works by as many artists as we could from each continent, looking on websites, blogs, magazines, books and art galleries. 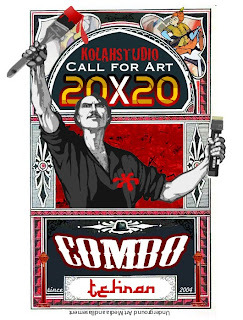 The over 200 participating artists, were selected because of their unique skills and vision of the world. The result is an amazing illustration bible that mixes styles and techniques, showing how amazing nature is and why we should take care of the environment and all the species living on the world. With artists concentrating on Stencil Art from Around THe World. 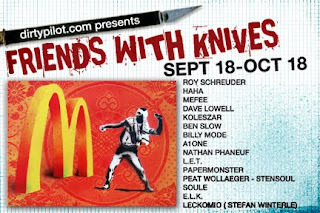 Th show will be open to public visitors from 18 September 2009 for a month.